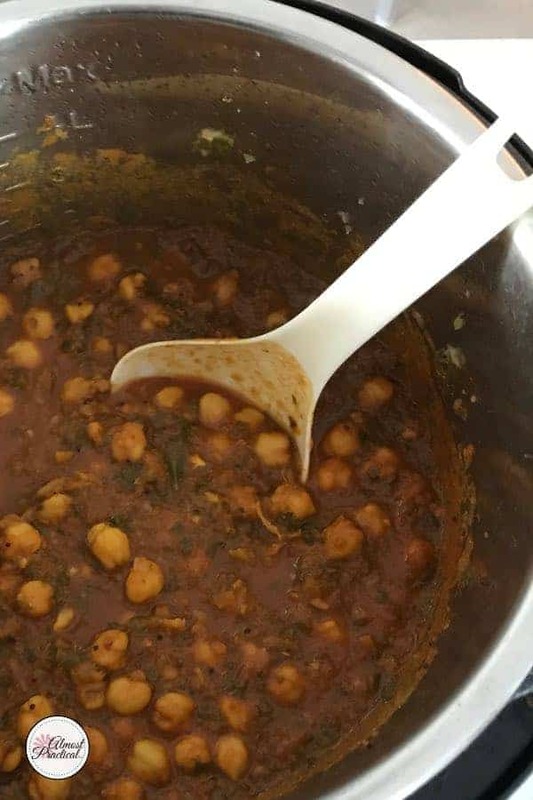 I make this chole recipe at least once a week for my family. 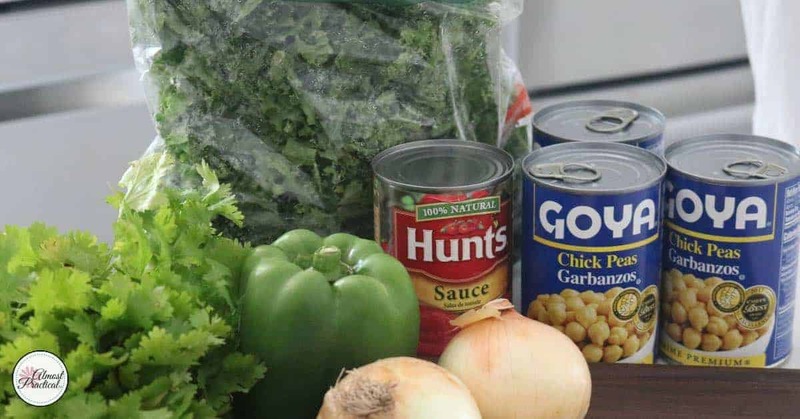 It is an Indian chick pea curry – and my version also happens to be jam packed with vegetables. My kids don't often agree on food in my house. Everyone has their favorites – unfortunately for me, they don't have the same favorites. Except for my Indian chick pea recipe. They all love it. 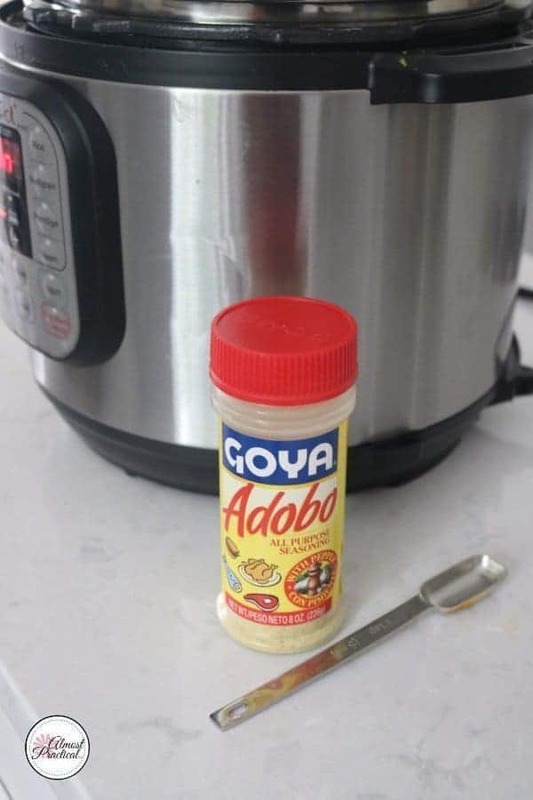 Today I made it in the Instant Pot – but you can make on the stove top just as easily. To state the obvious – you will need some chick peas. 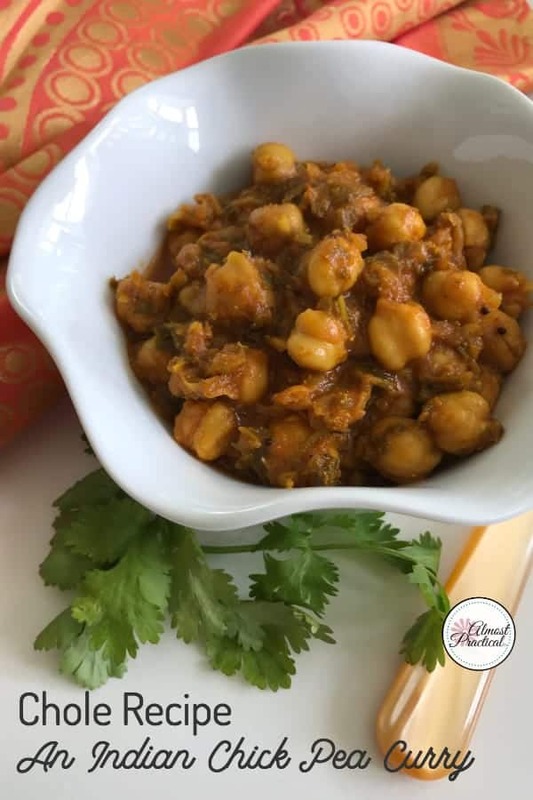 Typically, I use canned chick peas but if you are good at planning ahead, you could soak dried chick peas overnight or prep them in the Instant Pot before you make this recipe. Pictured below are some of the ingredients that I use. To make this Chole Recipe I like to prep all my ingredients ahead of time. Because there are so many good veggies – there is a little chopping to do. 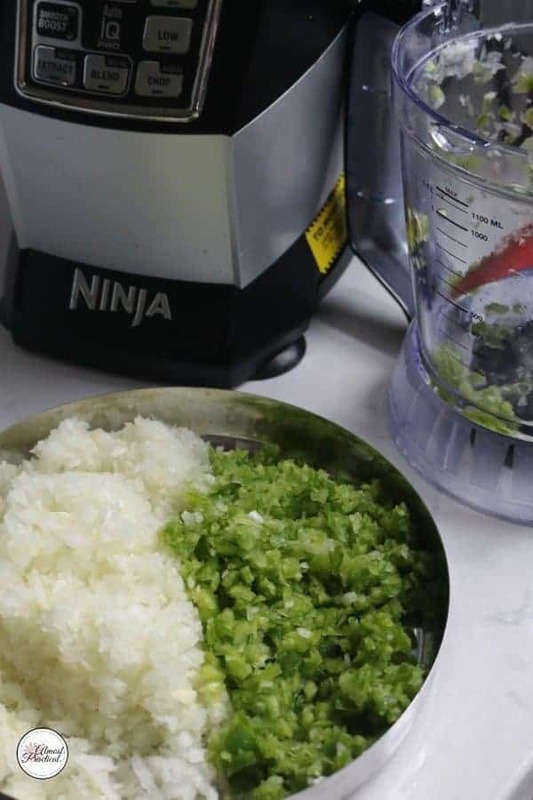 I always use my Ninja food processor (it is also a blender) to do the heavy lifting. First, I pulsed the onions and garlic together and set aside – I used 2 large yellow onions and 4 large cloves of garlic which was about 2 cups chopped. Next, I pulsed one large green bell pepper which was about 1 cup chopped. I did cut a few of the vegetables by hand – about 1/2 cup of chopped cilantro and one long green chili. You can omit the chili if you prefer a milder dish. You can also use a fresh jalapeno if you can't find a Indian green chili which is a fresh cayenne pepper (learn more about different types of spicy peppers here). Now, drain and rinse your 3 cans of chick peas in a colander and set aside. Once you have all the ingredients for the Chole recipe prepped – it is time to put it all together. Put your Instant Pot on the sauté setting and add 2 tablespoons of canola oil. 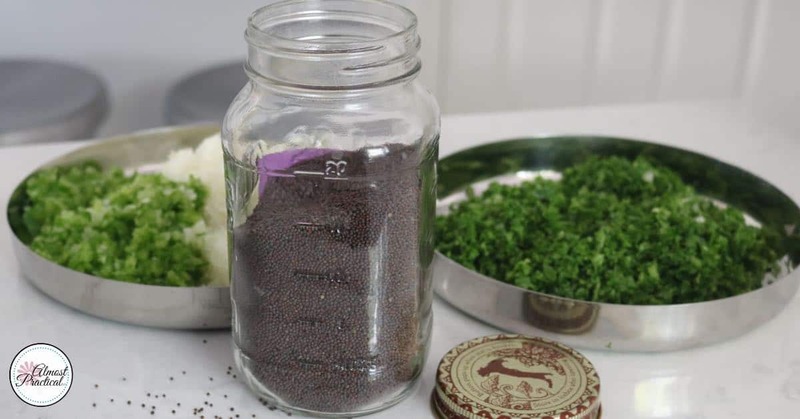 Let it heat for a minute and toss in 1 teaspoon of black (or brown) mustard seeds. When the seed start to pop add in a teaspoon of cumin seeds. 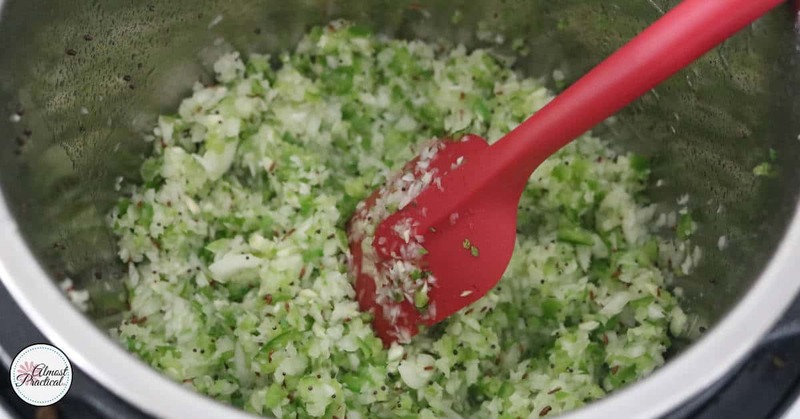 Now add the chopped onion/garlic mixture and the chopped green pepper. Sauté until the vegetables are softish. Add the chopped kale, cilantro, and green chili. That's the kale on the back right side. Let cook for one minute more. and half teaspoon ground black pepper. Place the lid on the Instant Pot with the vent in the closed position. Press “Manual” on the Instant Pot and set it to 4 minutes. When the time is up, let the pressure drop naturally. Serve this Indian chick pea curry over a bed of fluffy basmati rice and enjoy. 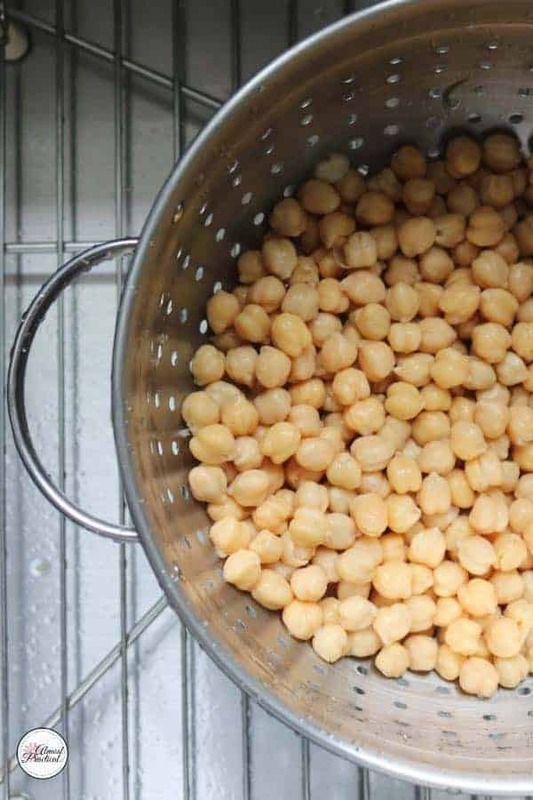 Drain and rinse your 3 cans of chick peas in a colander and set aside. Let it heat for a minute and toss in 1 teaspoon of black (or brown) mustard seeds. When the seeds start to pop add in a teaspoon of cumin seeds. Then add the drained chick peas and the remaining spices. Pour in the can of tomato sauce plus 1-1/2 cups water. « How to Get Amazon Prime – Is It Worth It?